Car Race Simulator is an amazing car racing game that puts you in the driving seat of a beautiful Lotus sports car. Hi, the first to play Car Race Simulator game, you select your gear and accelerate! Before you start car games you can choose the color of your vehicle so be sure to pick something that stands out. 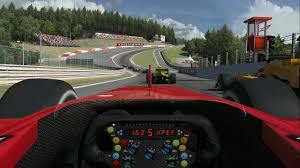 Furthermore, you can choose a selection of different tracks and pick how many laps you wish to race.